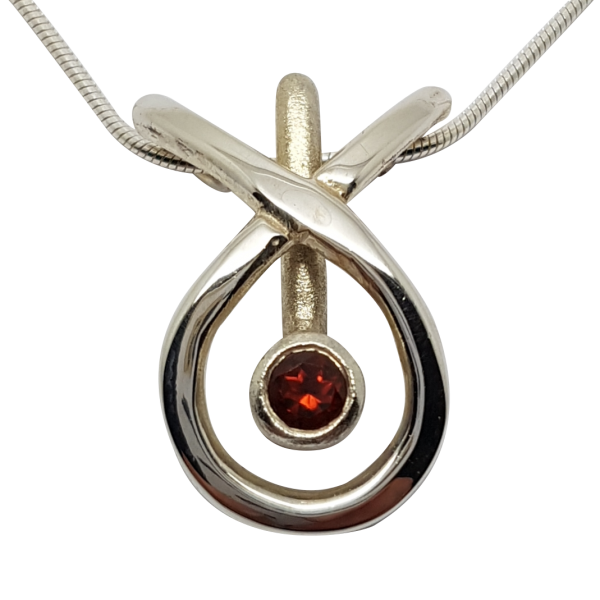 Our ‘Orbit’ pendant is part of our contemporary collection and is made exclusively by Love from Skye on the Isle of Skye. This pendant is set with a gemstone of your choice (which can be selected from the options above). 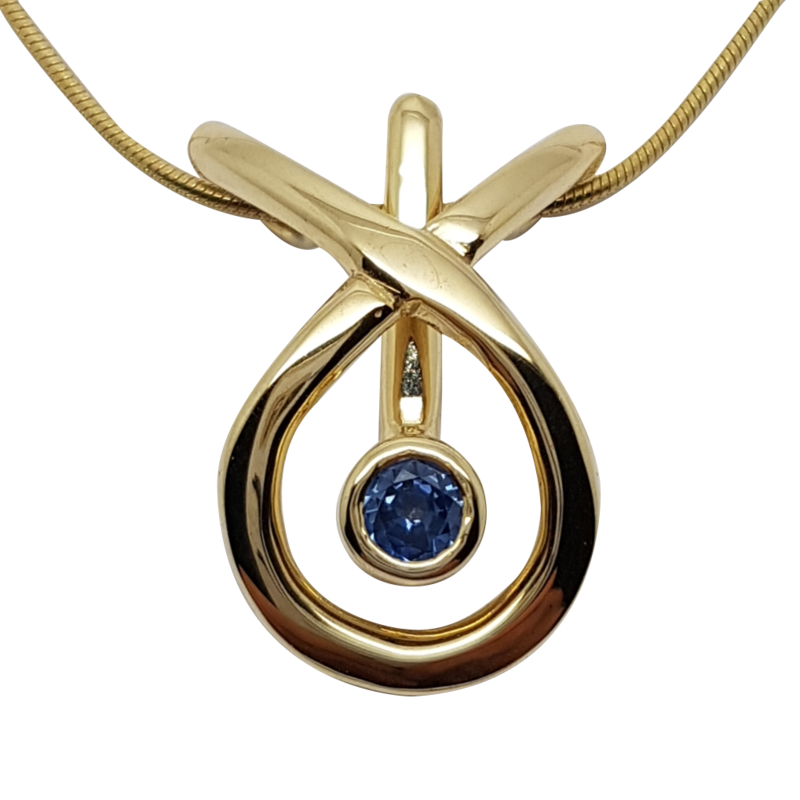 Our Orbit pendant is a 2 part design, the chain connecting the linear stone set part of the design to it’s surrounding piece. Different finishes can be applied to the central stone set piece and to the outer piece, creating a contrast. Alternatively, both pieces can be polished or given a satin finish. (These options can be selected above after you enter your choice of metal.) These separate pieces can also be made from two different metals, combining gold and silver within the one necklace. If you would like further information on this option, please contact us. The outer section measures 22mm x 16mm, with an 18 inch snake chain. If you would prefer a different length or style of chain, please contact us for more details and please also see our information page. Please also contact us about pricing for alternative stones.